How do the energy needs of people change and how is the energy contained within foods measured? Your body changes the chemical energy contained within the food you eat into the energy you need to stay alive. Different foods contain different amounts of energy. 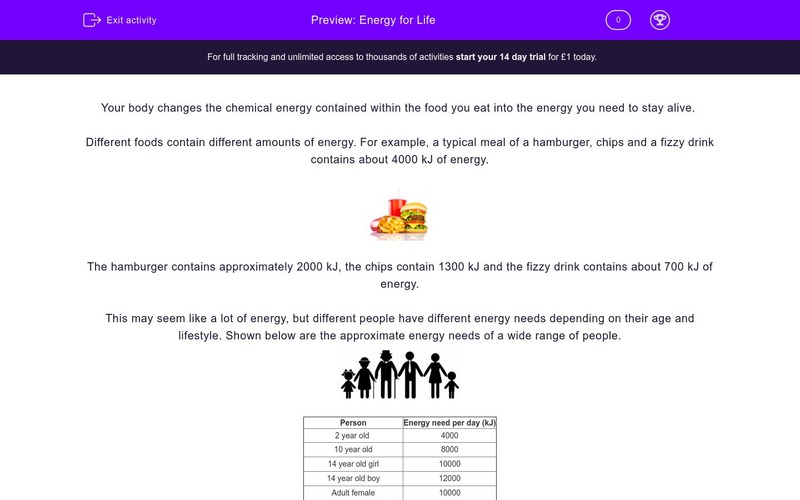 For example, a typical meal of a hamburger, chips and a fizzy drink contains about 4000 kJ of energy. The hamburger contains approximately 2000 kJ, the chips contain 1300 kJ and the fizzy drink contains about 700 kJ of energy. This may seem like a lot of energy, but different people have different energy needs depending on their age and lifestyle. Shown below are the approximate energy needs of a wide range of people. The energy needs depend on age and lifestyle. An active person requires more energy than a person who works at a computer most of the day. It is important to provide your body with the correct amount of energy. If a person takes in a lot of energy but does not lead an active lifestyle then they may become overweight, but a person who does not take in enough energy may become underweight, both of which can cause health issues. It is also important to have a balanced diet, containing the correct amounts of vitamins and minerals. Which of the following are the correct units for energy? Which of the following people requires the greatest amount of energy per day? Match up the correct energy values on the left with the people on the right. Shown here is a list of foods. 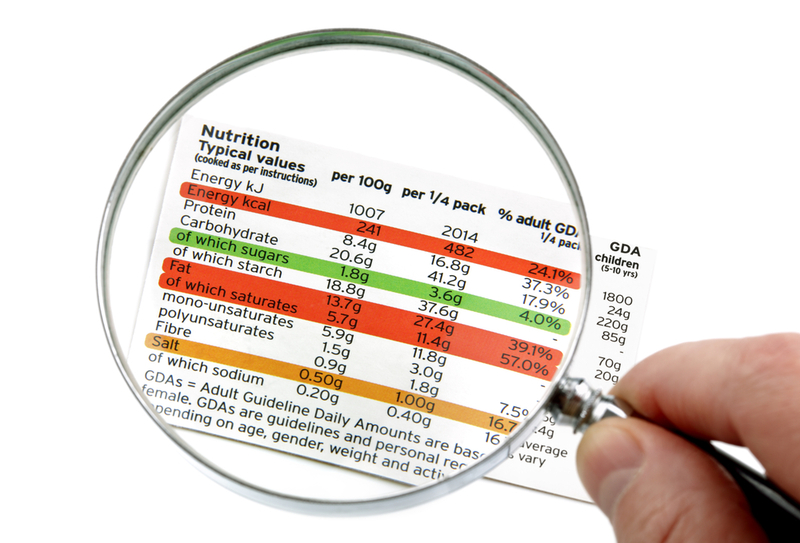 Decide whether the foods listed would have a high or low energy content. Use the table to help you work out how much energy is contained in a 300g portion. What can happen if you consume more energy than your body requires? Which of the following are part of a healthy diet? Energy is measured in Joules. Named after James Joule who was the first scientist to realise that there are many different forms of energy. Adults with active jobs require lots of energy to remain healthy. Different people have different energy needs. The table in the introduction lists some of the approximate energy needs of a wide range of people. 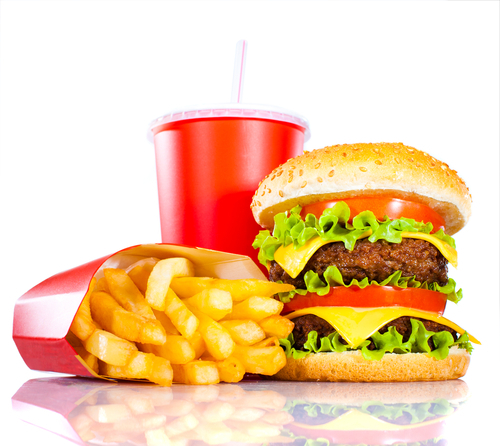 Fatty foods such as burgers and fish and chips are very high in energy. Healthy foods such as salad and fruit are lower in energy. It is important to be aware of your energy needs and what amount of energy you are consuming. Here, we can see that 100g contains 1007 kJ of energy. This means that 300g would contain 3021 kJ, as 1007 x 3 = 3021. It is important to lead a healthy lifestyle and make sure that, if you are going to consume lots of energy, you do the right amount of exercise to balance it out. A healthy diet should be balanced, which means it has a variety of foods that meet the your energy needs.